Ska, 2 Tone, Roots, Ragga, Dancehall, Dub with some escapes into Balkan, Worldmusic, Punkreggae & Mashup's give their set a unique flair of diversity. They played nearly all the known alternative bars in Luxembourg, have a residency at Luxembourg's most known alternative club The Flying Dutchman in Beaufort and in the last two years they were performing on Festivals in Germany, Czech Republic and Luxembourg. Plemm Plemm Soundsystem performs with a mix of different DJ sets ranging from analog to digital played sounds and adding visuals and good vibes wherever it is possible. 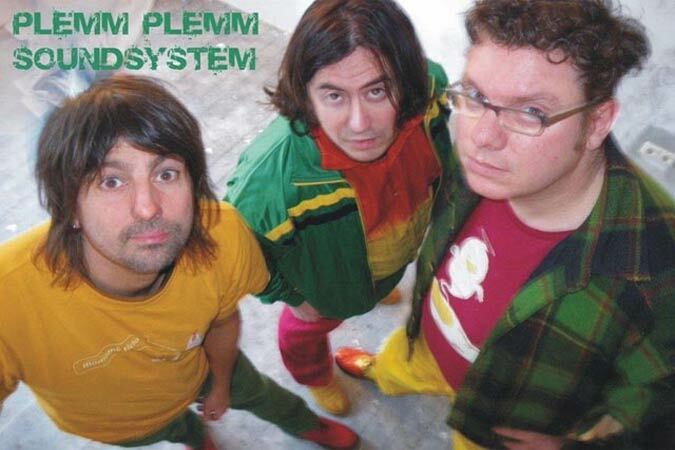 Plemm Plemm emerged out of a mutual passion to deep root reggae music, combining ska, dub and hip hop influences. Steve R.I.O.T. is (with dr. gonzo) a founding member of Anaïs Soundsystem, Luxembourgs first Reggae Soundsystem in the early 90ties. Steve played 12 years as a resident DJ in the legendary Flying Dutchman in Beaufort/LU, Luxembourgs alternative club institution. Other residencies were Didjeridoo/LU and aka ZOE-Bar/BE. As a solo DJ he plays All Styles Sets or focuses on Breakbeats and of course Reggae. skativi aka Carlos was for over five years resident DJ at Melusina in Luxembourg/LU in the early 90ies. Later he played for another five years as a resident DJ at the Flying Dutchman. After that period Carlos was involved in several other music projects and bands and continued home djing for a long time. In 2007, together with Steve he performed at the MUDAM under the project soundSCrabble. As solo DJ he plays ska, elektro, EBM and likes Prince. Melting Pol is defenetly Luxembourgs first VJ. He is the resident VJ for the e-Lake (Luxembourgs biggest Electronic Music festival) and has performed with many national and international artists such as Jazzanova, Les tambours du Bronx, Dr.Lektroluv, Ed Rush, André Mergenthaler, Moguai, Miss Yeti, Monica Kruse, Uncle Ho and Westbam. Pol loves Reggae and plays for years in bars and clubs in Luxembourg.